(NaturalNews) A Washington, D.C.-based legal watchdog organization has obtained official documents from the Internal Revenue Service it says provides confirmation that the federal tax agency utilized donor lists to tax-exempt groups so it could target them for audits. Officials at Judicial Watch said the documents obtained from the IRS show how the U.S. Chamber of Commerce may come under "high scrutiny" from the agency, according to a press release on the group's website. The IRS records, which were produced via a Freedom of Information Act lawsuit seeking any documentation related to the selection of individuals or groups based on application information and donor lists, were sought by JW in its pursuit of information related to allegations prior to the 2012 elections that the administration used the IRS to target mostly conservative, Tea Party-affiliated organizations. The documents include a letter dated Sept. 28, 2010, from then-Senate Finance Committee Chairman Max Baucus, D-Montana, to then-IRS Commissioner Douglas Shulman, which states, in part, "I request that you and your agency survey major 501(c)(4), (c)(5) and (c)(6) organizations ..."
In his Feb. 17, 2011, reply, Shulman states, "In the work plan of the Exempt Organizations Division, we announced that beginning in FY2011, we are increasing our focus on section 501(c)(4), (5) and (6) organizations." In 2010, after getting Baucus' letter, the tax agency considered the issue of looking into the finances of donors to 501(c)(4) organizations, claiming that a 35 percent gift tax would be assessed on donations that exceeded $13,000. As Judicial Watch noted, the documents it obtained indicate the IRS planned to cross-check donor lists from 501(c)(4) organizations against gift tax records and then launch audits against groups and donors based on this data. A gift tax on contributions to 501(c)(4)s was considered by most to be a dead letter since the IRS had never enforced the rule after the Supreme Court ruled that such taxes violated the First Amendment. 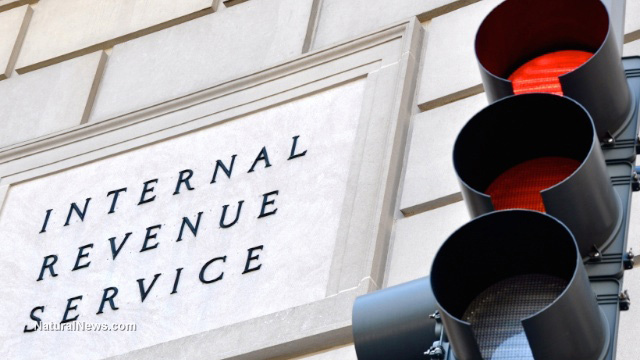 The documents show that the IRS had not enforced the gift tax since 1982. But then, in February 2011, at least five donors of an unnamed organization were audited. In particular, the IRS documents show that Crossroads GPS, a political action group associated with Karl Rove, President George W. Bush's chief advisor, was references by IRS officials regarding application of the gift tax. In what appears to be a response to the focus on Crossroads, IRS attorney Lorraine Gardener emailed a 501(c)(4) donor list April 20 to former branch chief in the agency's Office of the Chief Counsel, James Hogan. Later, that information was shared with IRS Estate Gift and Policy Manager Lisa Piehl as Gardener sought "information about any of the donors." In early May the targeting of certain groups by the IRS was beginning to make headlines and when that happened, JW notes, officials within the tax agency reacted quickly. About that time, Lois Lerner, then the head of Exempt Organizations, emailed her support of gift-tax audits. Lerner eventually became the controversial face of the scandal after additional reporting indicated she not only sanctioned the audits, but failed to comply with congressional subpoenas demanding the IRS preserve all of her emails and other data pertaining to the targeting of conservative groups. "These documents that we had to force out of the IRS prove that the agency used donor lists to audit supporters of organizations engaged in First Amendment-protected lawful political speech," said Judicial Watch President Tom Fitton. An earlier report by the Washington Free Beacon notes that Lerner, the Department of Justice and FBI met in 2010 to discuss and plan criminal charges for Obama political opponents.